Looking to sell a business? Here are some definitions and terminology that might find helpful. 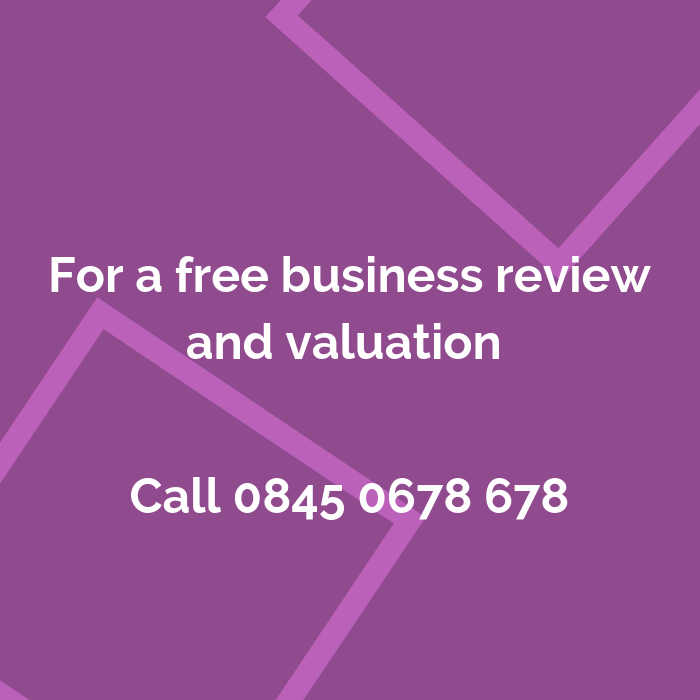 We would always recommend that every business owner seeks the advice of experienced advisers to support them through the process. An expense that is added back to the profits (most often earnings before interest, taxes, depreciation, and amortisation, or EBITDA) of the business which improves the profit situation of the company. An adjustment, adding costs that may be incurred, to demonstrate the true profitability of a business under new ownership. Adjusted net cash flow or adjusted net income represents a business’s earnings after expenses. An accounting term that refers to the process of allocating the cost of an intangible asset over a period of time. It also refers to the repayment of loan principal over time. A document that specifies the regulations for a company’s operations and defines the company’s purpose. The document lays out how tasks are to be accomplished within the organisation, including the process for appointing directors and handling of financial records. Sometimes defined as resources or things of value that are owned by a company. Some examples of assets which are obvious and will be reported on a company’s balance sheet include: cash, accounts receivable, inventory, investments, land, buildings, and equipment. A company’s financial records that have been officially examined to check that they are accurate by a qualified accountant. A statement of the assets, liabilities, and capital of a business or other organisation at a particular point in time, detailing the balance of income and expenditure over the preceding period. Also called business transfer agents, corporate finance or intermediaries, assist buyers and sellers of privately held business in the buying and selling process. A written document that describes in detail how a business, is going to achieve its goals. A business plan lays out a written plan from a marketing, financial and operational viewpoint. A legal agreement that binds one or more parties to non-disclosure of confidential or proprietary information. Also known as an NDA. 1) payment or money. 2) a vital element in the law of contracts, consideration is a benefit which must be bargained between the parties and is the essential reason for a party entering into a contract. In the UK tend to assist businesses to raise capital to grow or acquire a business and assist business owners to sell or merger with another. The total amount of money being transferred into and out of a business during a period, especially as affecting liquidity. Is a medium to long term debt instrument used by larger companies to borrow money at a fixed rate of interest. that is not secured by physical assets or collateral. Debentures are backed only by the general creditworthiness and reputation of the issuer. In a business sale a deferred payment is a sum of money that is agreed to be paid at a later date. A reduction in the value of an asset over time, due in particular to wear and tear. Seller’s opportunity to make ‘disclosures’ against the warranties which the buyer will require the seller to give. A right that enables a majority shareholder to force a minority shareholder to join in the sale of a company. Often used in conjunction with “Tag-Along Rights”. Money obtained in return for labour or services. When the dividend payout ratio is the same, the dividend growth rate is equal to the earnings growth rate. A provision written into the transaction whereby the seller of a business will receive additional payments based perhaps on the future performance of the business sold. Earnings Before Interest & Tax. Earnings Before Interest, Tax, Depreciation and Amortisation. EBITDA is a measure of a company’s financial performance and is used as an alternative to earnings or net income in some circumstances. A measure of a company’s total value, often used as a more comprehensive alternative to equity market capitalisation. Assist business owners to prepare and sell their company to maximise value and achieve the best terms. An agreement between a buyer and seller normally during the due diligence process as the buyer will be investing time and money. During this period the seller will not enter into any discussions with any third party regarding the sale or provide sale information. A plan that is executed by a business owner, investor, venture capitalist or private equity company to liquidate a position in a financial asset or dispose of tangible business assets once agreed milestones have been met or exceeded. Is an intangible asset of a business that buyers obtain in an acquisition including the acquired company’s brand, established client relationships, operational and financial processes, trained and experienced workforce, industry know-how, and other advantages of an established business. A term commonly used in tax and real estate, fair market value has come to represent the price of an asset under the following usual set of conditions: Prospective buyers and sellers are reasonably knowledgeable about the asset, behaving in their own best interests, free of undue pressure to trade and given a reasonable time period for completing the transaction. Written records that convey the financial activities and conditions of a business or entity and consist of four major components. Financial position, Income, Cash flow and Changes in equity. The act of predicting business activity for a future period of time. Typically, it is a projection based upon specific assumptions, such as targeted prospects or a defined sales strategy. A period of time following the completion of a business sale during which the seller continues with the business sold in order to ensure non-disruptive and successful handover of the company (practically) to the buyer. Also known as letters of intent, memoranda of understanding, heads of agreement, letters of potential interest, term sheets or protocols. A document which sets out the terms of a commercial transaction agreed in principle between parties in the course of negotiations. A buyout initiated by institutional investors such as venture capital or private equity groups. The financial institution takes over a firm and then backs the group of managers who will run it. Compensation for damages or loss, and in the legal sense, it may also refer to an exemption from liability for damages. The concept of indemnity is based on a contractual agreement made between two parties, in which one party agrees to pay for potential losses or damages caused by the other party. Term sheet used in a sales process which establishes a contractual negotiating framework between the potential buyer and the seller as they work toward a definitive Sale and Purchase agreement (SPA). A package of documents created normally by advisors for seller that outlines the business for sale opportunity which is issued to prospective buyers under a non-disclosure / confidentiality agreement. The value of a company, stock, currency or product determined through fundamental analysis without reference to its market value. The finished goods a company accumulates before selling them to end users. Any person who commits capital with the expectation of financial returns. When a company offers its shares for sale to the public for the first time. A business arrangement in which two or more parties agree to pool their resources for the purpose of accomplishing a specific task. A measurable value that demonstrates how effectively a company is achieving key business Organisations use key performance indicators at multiple levels to evaluate their success at reaching targets. A document outlining what the business sale deal may look like and is typically issued by the buyer. It is typically non-binding except for a few clauses, which include confidentiality and that the seller breaks of talks with all other prospective purchasers to all a period of time for due diligence. A company’s legal financial debts or obligations that arise during the course of business operations. Liabilities are settled over time through the transfer of economic benefits including money, goods or services. A financial instrument; it is a contract for a loan that specifies when the loan must be repaid and usually also the interest payable. A transaction where a company’s managementteam purchases the assets and operations of the business they manage. A management buyout (MBO) is appealing to professional managers because of the greater potential rewards from being owners of the business rather than employees. Occurs when a manager or a management team from outside the company raises the necessary finance, buys it, and becomes the company’s new management. A management buy-in team often competes with other purchasers in the search for a suitable business. Set of summarized accounting data (balance sheet, cash flow, and income statement) prepared and presented (usually every month, fortnight, or week) specifically for a firm’s management. A document that specifies the regulations for a company’s operations and defines the company’s purpose. A specific financial metric of a company to calculate the business’ valuation. These can include EBITDA, EBIT or revenues or recurring revenues. NAV represents the net value of an entity and is calculated as the total value of the entity’s assets minus the total value of its liabilities. The profit of a company after operating expenses and all other charges including taxes, interest and depreciation have been deducted from total revenue. A legal contract between two or more parties that signifies a confidential relationship exists between them. The confidential relationship exists because the parties share information among themselves that should not be made available to any other parties outside of those involved, such as competitors or the general public. Finance which is provided for medium to long term for private established companies that have high growth potential. The funding is in exchange for a percentage of the equity in the business. A statement that shows the profit or the loss of a business during a certain time period. A formal legal document that is required by and filed with the Securities and Exchange Commission (SEC) that provides details about an investment offering for sale to the public. ROE is a measure of financial performance calculated by dividing net income by shareholders’ equity. The amount of money that a company actually receives during a specific period, including discounts and deductions for returned merchandise. Conducted by a business broker or investment banker when they are engaged in a sell-side assignment. 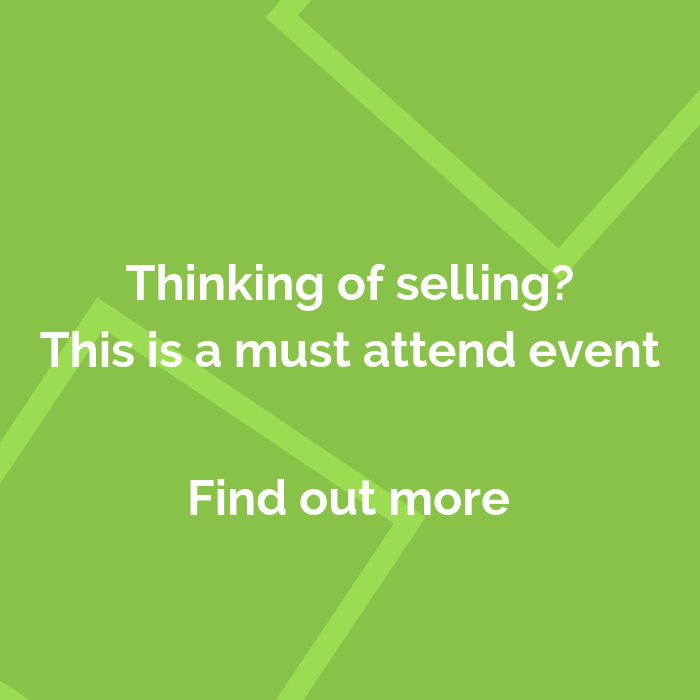 The sales process is a systematic approach to selling a business, and its primary purpose is to find the most effective way to meet the pre-determined objectives of the seller. Also called Purchase of Business Agreement / Business Sale Agreement / Business Purchase Contract / Business Transfer Agreement), a Sales Purchase Agreement is a legal contract that obligates a buyer to buy and a seller to sell. Contract between the owners (shareholders) of a firm, defining their mutual obligations, privileges, protections, and rights, and usually comprising the firm’s articles of association or bylaws. The buyer acquires the shares of the business that owns the trade and assets of the Company. The new owner of the company acquires all assets, liabilities and obligations – even those a buyer may not be aware of. The documented processes that a companyhas in place to ensure services and/or products are delivered consistently every time. Rules established that oblige the majority shareholder to include the holdings of the minority holder in the negotiations of a sale. The buyer acquires the trade and assets of the business. They can take the parts they want and leave the parts they consider risky such as tax or warranty liabilities. A process and a set of procedures used to estimate the economic value of an owner’s interest in a business. Where the seller of the business helps fund part of the purchase price which will paid over time with interest often out of future business profit, so there are risks for the vendor to consider. A type of funding for a new or early stage growing business. A seller’s assurance to a purchaser that the goods or services being purchased are or shall be as represented and, if not, will be replaced or repaired. Also known as net working capital, is the difference between a company’s current assets, like cash, accounts receivable (customers’ unpaid bills) and inventories of raw materials and finished goods, and its current liabilities, like accounts payable. This is not and exhaustive list of terms and definitions so if there is something you wish to discuss please do email or call one of our directors on 0845 0678 678.